Originally built in 1911, the Rizal Park Hotel once housed the Army and Navy Club. The first thing that catches your attention when you walk through Rizal Park Hotel’s doors is the gleaming black and white tiles. It beckons you to the lobby where you are treated to a breathtaking view of the oval-shaped center of the building with a majestic chandelier high above. 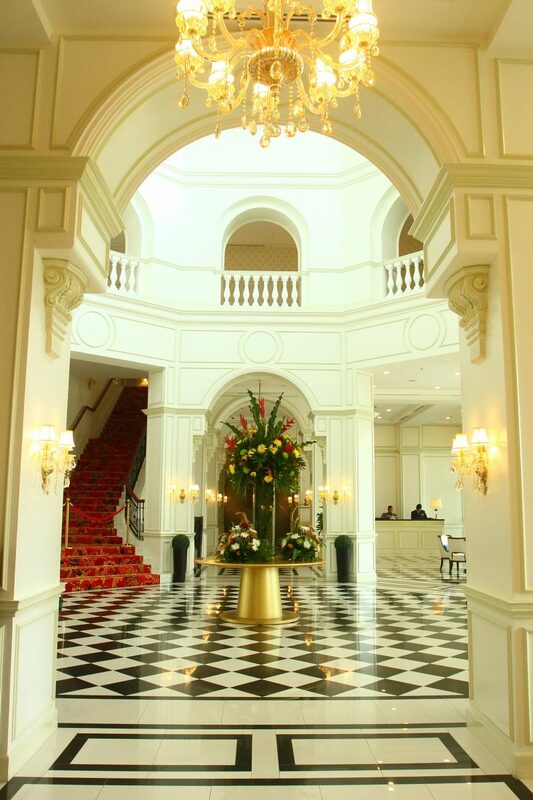 A little beyond is a double staircase with ornate century-old grills. Rizal Park Hotel’s lobby. Photo by Jovel Lorenzo. Originally built in 1911, the hotel once housed the Army and Navy Club and was the center of Manila’s social scene during the American colonial period. The building was used as a bomb shelter and evacuation center during the Second World War and began its slow deterioration in the years that followed. The arches featured in the hotel’s facade is part of the original design. Photo by Jovel Lorenzo. It’s hard to imagine that Rizal Park Hotel was once a dilapidated building on the verge of collapse but 4 years of painstaking restoration has brought back its splendor. 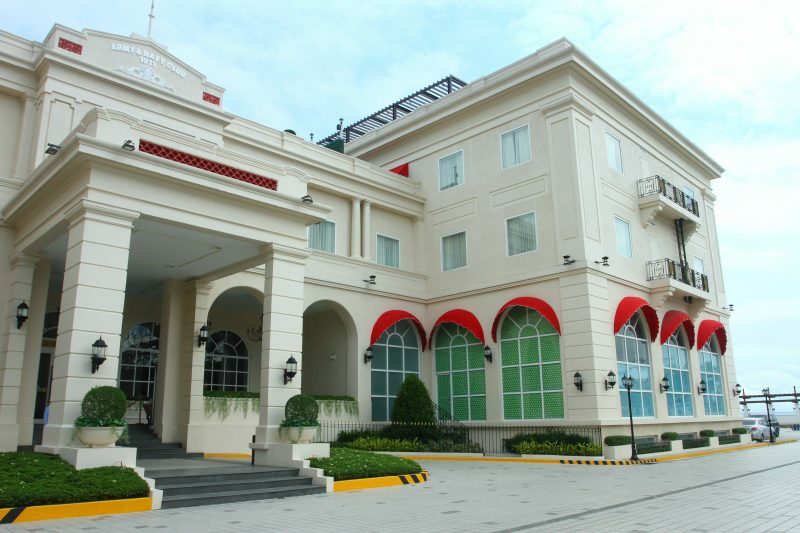 “It has a mixture of past and present, young and old,” said Juan Paolo Sumera, Rizal Park Hotel’s general manager. “There are always new hotels opening but none like what we have here. It gives you a sense of history and newness; it gives you the best of both worlds,” he added. Aside from the interiors, dishes from the hotel’s in-house cafe transport you to a bygone era. Cafe Rizal’s a la carte menu was tailored after the original menu and carries some of the items that were available back in its heyday as the Army and Navy Club. These include the burgers, pork chops, and the steaks – dishes that hark back to the American colonial period. 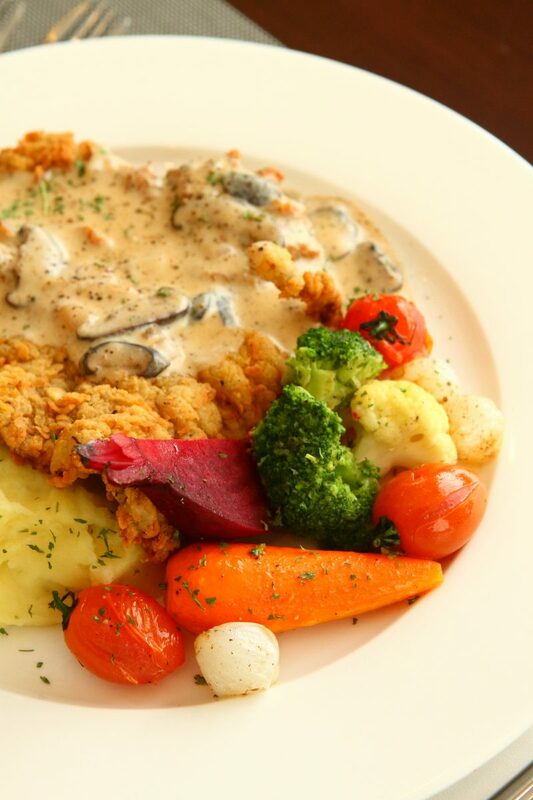 Cafe Rizal’s Country Fried Steak served with mashed potatoes and grilled vegetables. Photo by Jovel Lorenzo. “We do have guests who are original members of the Army and Navy Club. They bring their sons, daughters, and grandchildren along and they would tell us stories from back in the day,” shared Sumera. The hotel has 76 rooms and is set to have more rooms in a second building currently being constructed, which will also house a 1,200-seater ballroom, a pool, gym, and a lifestyle club. One of the hotel’s suites. If you’ve always wondered what your grandparents mean when they say “good ol’ days”, you only need to visit Rizal Park Hotel. You might even want to dress up for the occasion. Rizal Park Hotel is located at South Road Drive, T.M. Kalaw Ext., Ermita, Manila. Visit www.rizalparkhotel.com.ph for more information. This story originally appeared in Going Places’ September 2017 issue. Minor edits have been made for this article.